Taz DaPrince a.k.a BraveHeart, started listening to rap when l was around 11, being influenced internationally by artists such as 2Pac, Wu-Tang Clan, DMX and locally by Ronny H, Drastic, iLL Ceey and Bosha. Now this track hit out of nowhere like a sucker right hook punch and packs enough punch to knock out most of the “noise” we’ve been hearing. The inspiration behind Black orchestra was inspired by his need to be recognized and overthrow the "wack" music that's been circulating and dominating Zim Hip-Hop, Black Orchestra derives its meaning from history, Black Orchestra were patriotic Germans including many in the higher echelons who feared Hitler’s policies would ruin the country, by overthrowing the Nazi Party they hoped to preserve German sovereignty, so contextually Black Orchestra represents Taz trying to overthrow the Nazi Party represented by the incompetent artists hoping to preserve Zim hip hop. 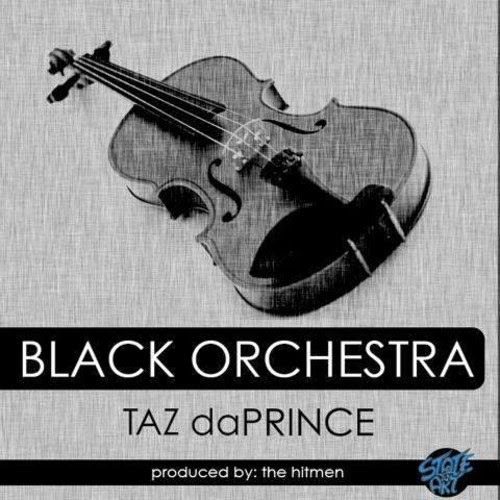 Taz worked with the Hitmen, who made the sick beat and production and Taffy Chinx did the graphics, shout out to those two for making this track happen.